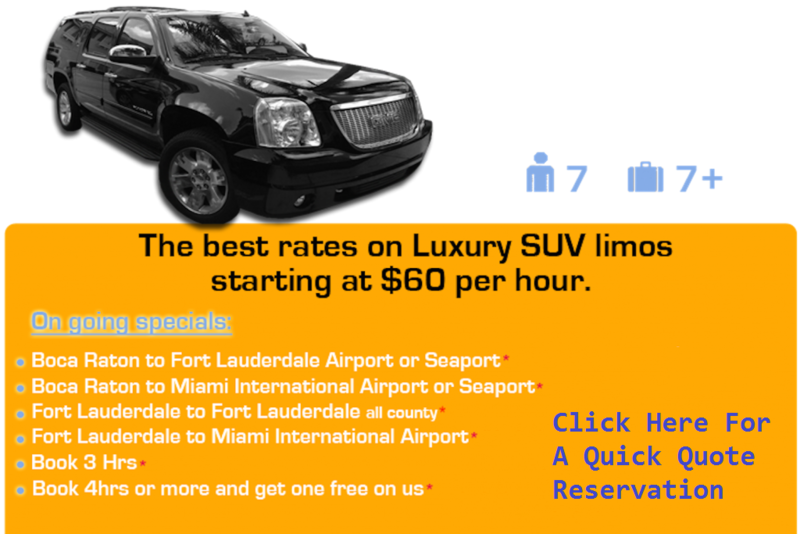 BocaLux limo takes pride in serving you with the most reliable Executive SUV limo service in the Boca raton, Fort Lauderdale and Miami area, offering point to point and airport transfer service for corporate and leisure clients. with a five star rating by our customers and exceptional customer service, we seamlessly connect with all your transportation needs delivering unparalleled degree of reliability and commitment to provide the best experience. Our team of experienced and professional drivers will show up on time and get you to your destination stress free.